If you are a baby boomer, you might be thinking about gifting some of your treasured possessions - especially if downsizing is on the horizon. But if you were planning to pass them on to your kids, you could be in for a surprise. Increasingly, millennials aren’t interested in inheriting that large landscape oil painting or dark wood antique dresser. In fact, the trend in not possessing a lot of ‘stuff’ is leaving Mum and Dad having to consider where their heirlooms will end up. Just a generation or two ago, we were grateful to receive the solid oak dining table and chairs and silver gravy boat – seeing our possessions as an extension of ourselves, a way to remember a moment in time. But with the rise of the internet, someone in their twenties is far more likely to see their social profile as an extension of themselves, remembering their moments in time through their Facebook photos or Twitter feed instead. Experiences are becoming more sought after, with a millennial more inclined to spend their hard earned savings on travel than a piece of furniture that will last them thirty years. The Australian dream of owning a house is becoming less of a possibility as prices continue to rise, and we’ll see more people living in apartments. This, ultimately, means less space to fill with items from the past. The world is a far smaller place now than thirty years ago with more people going to work in different countries - often at the drop of a hat. So the idea of being tied down with boxes of our history is just not practical. Inconvenience is not the only reason. Naturally over time, tastes and fashions change. Minimalism is in, clutter is out. Shelves filled with ornaments and trinkets have been replaced by clean white walls. A greater interest in interior design mean millennials take more time and care in how their surroundings look and feel. It can be a struggle to accept that your children don’t want to hold on to items that have sentimental meaning to you. It’s not that they don’t love – they just don’t love your furniture or shoebox of greeting cards. So how can you have a clear out without your past being lost? Ask grown up child to pick one or two items (no matter if they are just small) that has significance to them. Donate big items of furniture to a local shelter, hospice or charity. There is always someone in need who could benefit. And you get the satisfaction of making a difference. Scan photo albums onto the computer to create a digital photo book that can be stored online. This way it can be shared with all your family without taking up physical space. This can be an opportunity to make some cash. 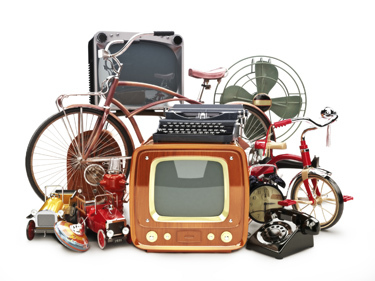 Popular selling sites such as Ebay or Gumtree make it very easy to get rid of items that might be worth something, but that you no longer want or need. Finally, if you are going to sell items, be sure to research their value first – you don’t want to miss out by not realising how much something is actually worth. It’s not just ‘stuff’ that needs to be considered as we get older - it’s our wealth and other assets that need to be thought about well in advance too. If done well and executed properly, it can make a real difference to the financial position of the recipients. If misjudged or poorly handled, it can cause enormous grief, fights and resentments. If you don’t have an up-to-date Will, speak us. They’ll be able to go through the Estate Planning process with you, so you have peace of mind that even if your children don’t want your Great-Aunt’s dinner set, they will be looked after in the future, in the most tax-efficient way for both parties.